Located in the Santo Agostinho Convent, the Pousada de Tavira – Convento da Graça is probably one of the most sought-after hotels by visitors in search of a classic yet modern place to stay in while vacationing in Tavira, Portugal. The Pousada de Tavira – Convento da Graça is mainly known for the historical grounds that lie beneath one of the most outstanding buildings in the Algarve region. It was founded by Agostinho Friar Pedro de Vila Viçosa in the 16th century and later reconstructed around the 18th century, after the 1755 earthquake, mainly the wings of the convent, the Baroque overhaul of the main façade and the tower at both extremes of the building, which were completely redesigned by the local architect Diogo Tavares de Ataíde. More recently, the design project was commissioned to the Portuguese architect João Sousa Campos, who work consisted in converting the building into a Pousada, included in the Pousadas de Portugal. The current Pousada de Tavira – Convento da Graça reopened in 2006 completely renewed into a modern boutique hotel. Both inside and outside, the Pousada de Tavira – Convento da Graça is a journey to the past yet always leaning on modern features and equipment to provide the best accommodation services that are. There are 36 rooms, 27 of which are standard, some of them with a beautiful view over the city or the indoor garden and pool, three superior rooms, five suites, and one special suite, which is the biggest room in the Pousada de Tavira – Convento da Graça, and mainly reserved for special occasions. 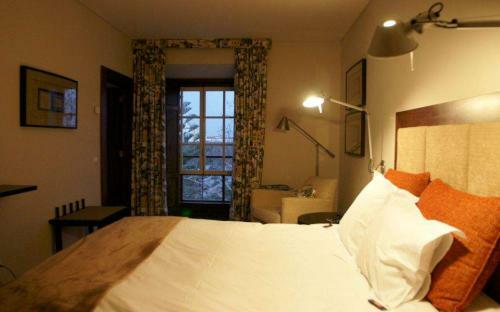 The five suites carry their own historical names, bringing the heritage of this building alive as soon as they are mentioned: Santiago suite, Dom Sebastião suite, Frei João suite, Frei São Pedro suite and, as an exception to the description above, the Mezzanine suite. The standard rooms are surprisingly large and decorated in such a manner that reminds guests about the ancient Islamic traces that still linger in a few details in and around the building. 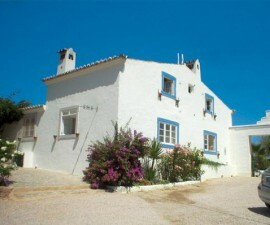 Most of them have balconies that overlook the indoor garden and pool, and others have a view over the beautiful Tavira. 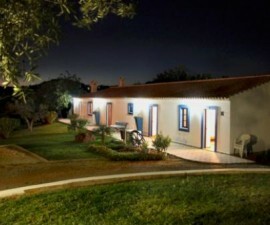 Prices range between € 80 and € 230 per night depending on the number of people, however, the Pousada de Tavira – Convento da Graça usually provides a number of different promotions, which will certainly suit every budget. In addition to a lovely breakfast, it is also possible to indulge in a pleasant gastronomic experience at the Mouraria restaurant, located inside the Pousada de Tavira – Convento da Graça. The staff is ever so efficient and kind and will certainly help you choose from a variety of house specialities, which include Corn starch with clams and Scallops coated with olive oil for starters, Cataplana of cooked fish and seafood, Algarve style, or Rack of lamb with almond crust as main dishes, and some of the most delicious and traditional sweets of the Algarve region for dessert. They will make sure you never forget the wonderful flavours of Portugal. Also, it is possible to book meetings and company events, as well as weddings, which take place in the cloister and the old chapel. 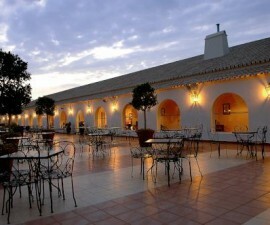 Being this a family-friendly hotel, the children’s club is also an important part of the Pousada de Tavira – Convento da Graça, as well as the children’s swimming pool, family games, and other activities that will certainly let you enjoy your time with your family at this outstanding historical Pousada.